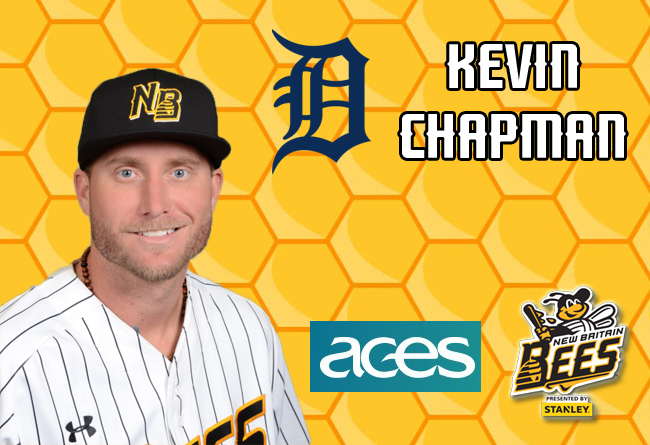 (New Britain, Conn., May 20, 2018) – New Britain Bees team officials have announced that left-handed pitcher Kevin Chapman has had his contract purchased by the Detroit Tigers organization. He will report to Triple-A Toledo of the International League. This season, Kevin has appeared in six games for the Bees, not allowing a run and collecting 11 strikeouts in 6.1 innings of work. Chapman is the first Bees player to have his contract purchased during the 2018 season.